Combine ingredients over ice in a cocktail shaker. Shake well and strain into a martini glass. Garnish with mint candy. Fill a rocks glass with ice. Add vodka, ginger ale and grenadine and stir. 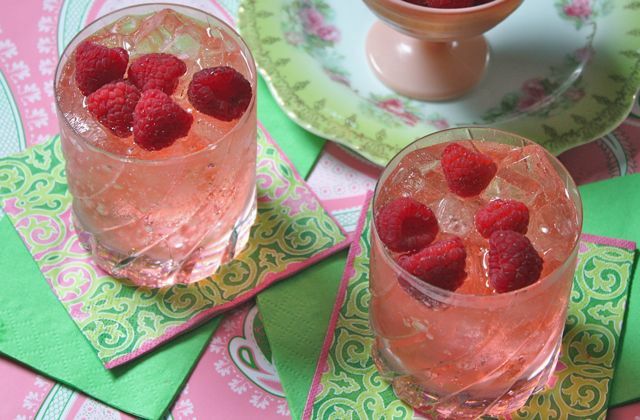 Garnish with fresh raspberries. What's better than cocktailing for personal pleasure? Cocktails for a cause! My friend and neighbor is the founder of Corrigan Care, a special needs childcare center here in Atlanta. Her story is nothing short of touching and inspiring. I had the pleasure of meeting her daughter Emmy once, when she was only six months old. Even at such a young age, she was charming and captivating. She truly had the smile of an angel! Each year, Corrigan Care hosts "Emmy's Bash", a fundraising event that also honors the exuberance of Emmy herself. It's happening this Saturday here in metro Atlanta and Amy, the founder and CEO of Corrigan Care, asked if I would create two signature cocktails for the event. I jumped on the opportunity and embraced the center's pink and green signature colors as a starting point for these cocktails. I hope you'll give them a try and toast to the beautiful life of little Emmy and the dedication of her fearless mother. Cheers to Corrigan Care! I love this idea. Nice to meet you in the ALT class yesterday. 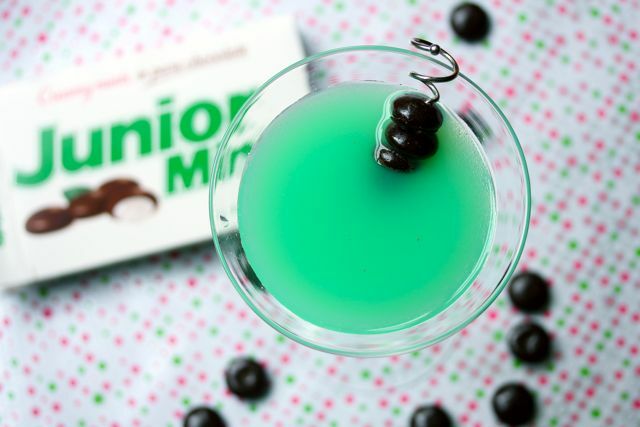 I am a huge fan of junior mints and I never ever would have thought to make a cocktail version. YUM! !